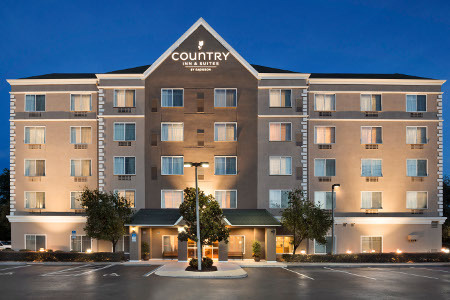 The Country Inn & Suites® by Radisson, Ocala, FL is near I-75, making it easy to get to some of Ocala’s most popular destinations, including Ocala International Airport (OCF) and Ocala National Forest. When you stay with us, you’re within minutes of kayaking on the crystal waters at Silver Springs and gliding through the air at Canyons Zip Line & Canopy Tours. You can also browse the galleries at the Appleton Museum of Art or bounce on trampolines at Sky Zone. 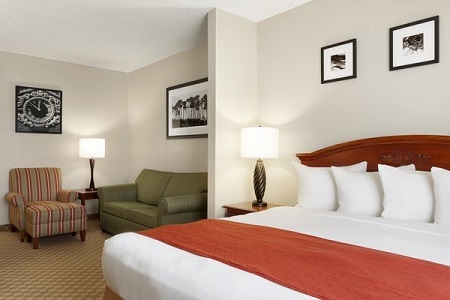 Your inviting room with premium bedding and TV channels will be waiting to provide you with a night of relaxation. At our free, hot breakfast, you can choose from a selection of morning favorites like pastries, Belgian waffles, cereals and fresh whole fruits. We also provide a daily rotation of hot items, including scrambled eggs, omelets, sausage and breakfast burritos. Several nearby restaurants offer excellent selections for lunch and dinner just mintutes away. You can try authentic Indian food at Amrit Palace, or sample the sushi at Edo Sushi & Steakhouse. Take a drive downtown to check out Harry's Seafood Bar & Grille. Silver Springs – Less than 30 minutes from the hotel, Silver Springs is a beautiful artesian spring with crystal-clear water. You can explore the springs in several ways, including glass-bottom boat, kayak and canoe. Appleton Museum of Art – Drive 10 minutes east to browse the expansive collection of pottery, sculptures and more at the Appleton Museum of Art, which features 30,000 square feet of gallery space. Canyons Zip Line & Canopy Tours – Soar among the treetops during a thrilling zip line ride at Canyons, just 15 minutes away. If you would rather stay closer to the ground, arrange to take a horseback tour on one of several trails. 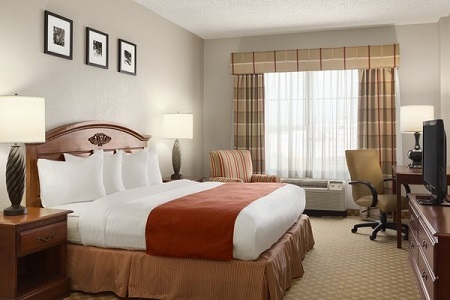 Whether you’re hosting a business meeting or a special celebration in Ocala, you will find ideal event facilities at our hotel. 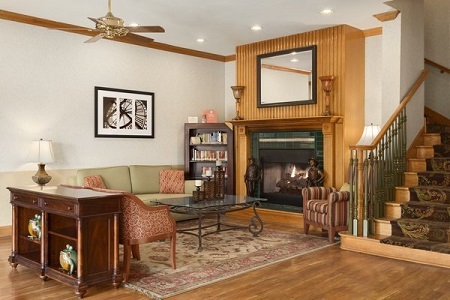 The inviting main meeting room accommodates up to 20 people and the breakfast room hosts up to 25. For your event, we provide a personalized Web page to keep attendees up-to-date. Providing refreshments or lunch? Our staff can direct you to several nearby restaurants that can cater for your gathering.